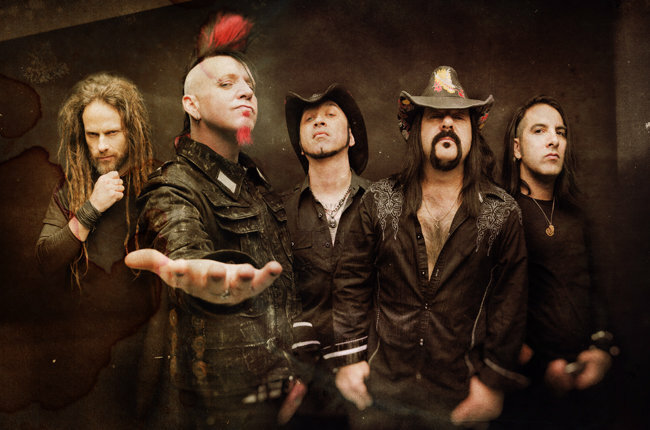 According to Khou.com, a Houston, Texas venue hosting Hellyeah show had to be evacuated on January 15 due to an ammonia leak at a food processing plant nearby. No injuries were reported as a result of the leak. Hellyeah drummer Vinnie Paul Abbott said: "Well, we just wanna say thank you, Houston, and sorry there was an emergency and the buiding had to be cleared!!! We don't know if it was ISIS, a natural gas leak , a chemical leak or what, but three quarters through our show, we were ushered off the stage by venue experts. We're pissed, but we had no choice but to comply for the safety of our fans. We love you, Houston, and we wanna come back and make it up to you soon."